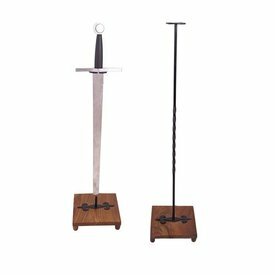 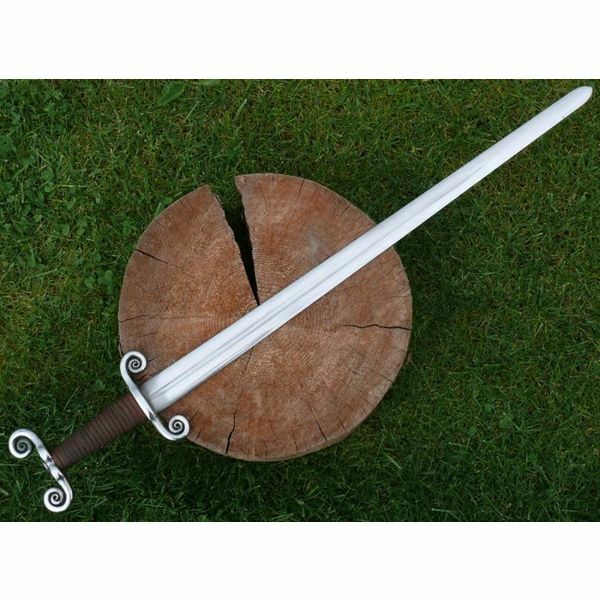 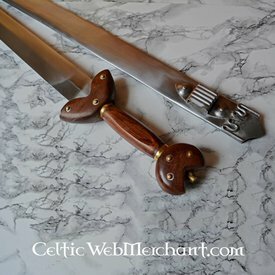 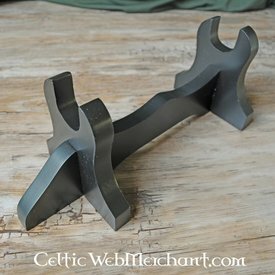 This Celtic sword is a replica of an original found back in Melnik (current Czech republic). 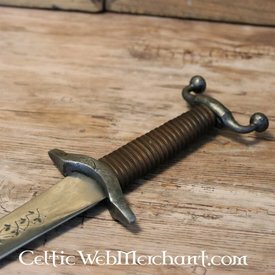 Swords like this were used by the Celtic tribes during the late Hallstatt and early La Tène period. 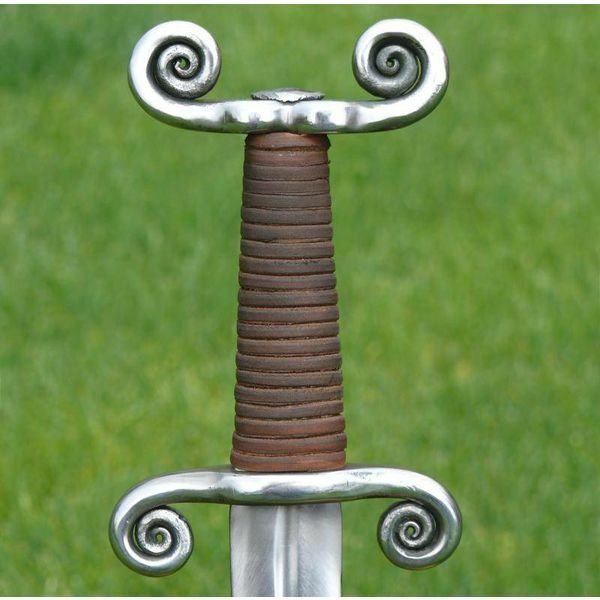 The sword type was developed from the antenna sword. 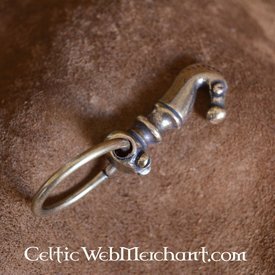 The Celtic tribes of the Czech area lived next to the Greek and Roman/Etruscan civilisations and were one of the richest tribes in this region. 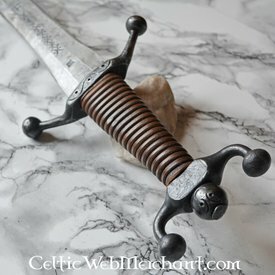 This sword is fully handmade. 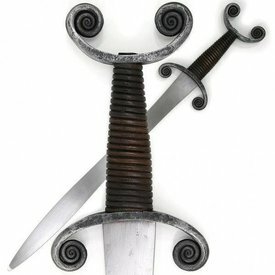 It is 84 cm long, with a blade of 66,5 cm long. 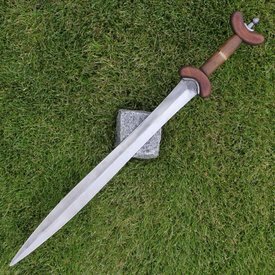 It weighs 1,2 kg. 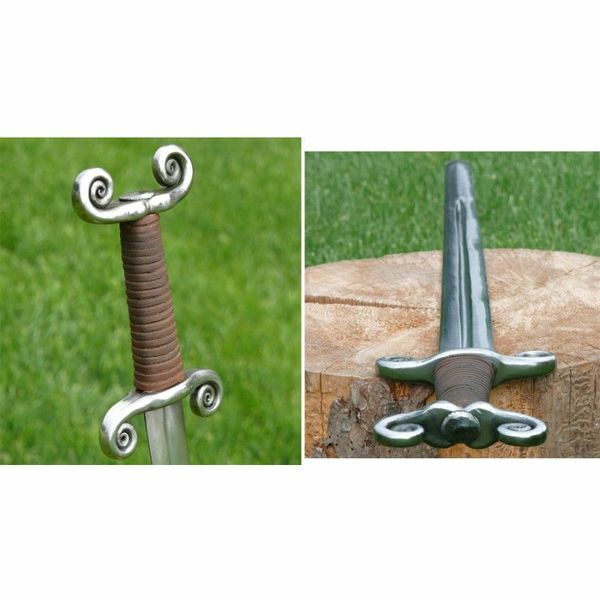 The blade is made of carbon steel with a hardness of 54 HRC. 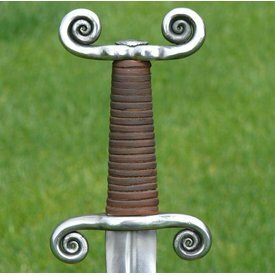 The hilt is made from iron.